Pup's Day Out is one of Raleigh's most sought after Doggy Daycares. We pride ourselves on treating your dog as one of our very own. Locally owned and operated we are not a franchise and can therefore provide your dog with the best and most personalized attention available. Pup's Day Out offers multiple services to be a convenient one stop for dog daycare, grooming, training, as well as boarding. Our staff is just waiting to give your dog all the same attention and exercise you would in a safe yet stimulating environment. Your dog can play with the other dogs as well as receive one on one attention playing fetch and enjoying extra belly rubs. Please take time to check our requirements to be sure your dog is a good fit for our daycare before coming in for an evaluation. Here's what some of our customers had to say about us. Click here to find out about Pup's Day Out and to schedule your dog's Temperament Test now. 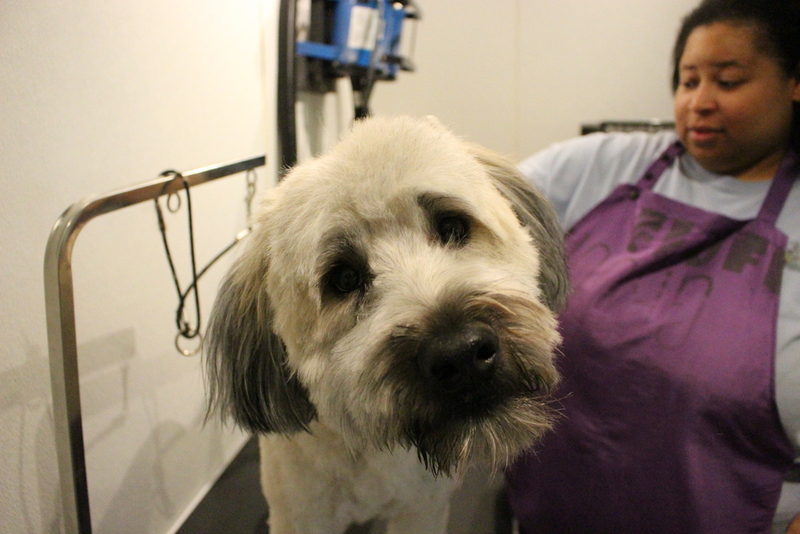 Ready to have your doggy groomed or just looking for a bath? Click here to see the many grooming options we offer.